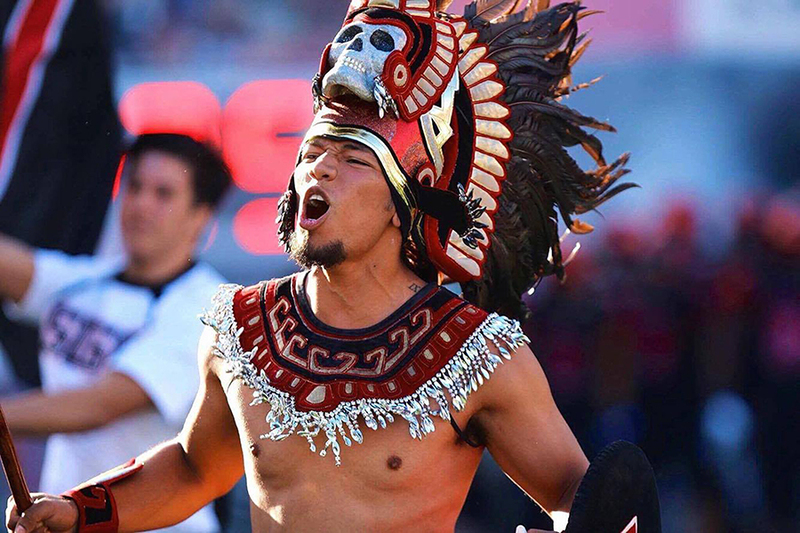 A man portrays the Aztec Warrior mascot at a sporting event in spring 2017. 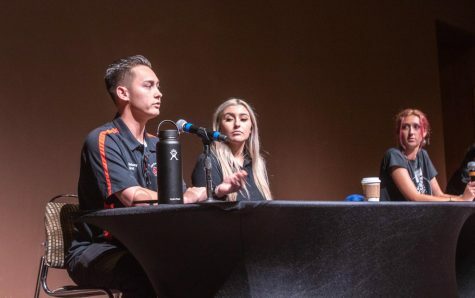 The Student Diversity Commission voted on the Aztec mascot resolution put forward by the Native American Student alliance on April 10. A meeting was held Monday afternoon to discuss and vote on a resolution regarding the change of the name and moniker of the SDSU mascot, the Aztec. The resolution passed with a unanimous vote. Communication senior Anthony Lee has been involved with Associated Students as a board member, and said he felt it was important to be at the meeting. “I’ve been involved for so long in these kind of things for a while now and I think it’s important to stay in the know with what’s going on,” he said. 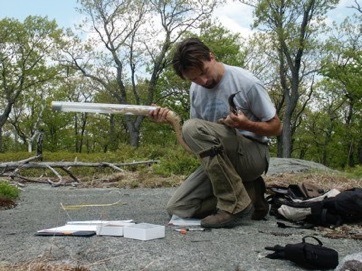 Lee agreed with the decision of the commission and said it was not an easy choice. The meeting began with two speakers who presented to the board. The first was criminal justice senior Crystal Sudano, who has been interested in the mascot debate for almost 10 years. Sudano brought research detailing the history of the controversial character and why she felt the mascot’s origins were suspicious. Chicano Studies professor Isidro Ortiz also spoke at the meeting. 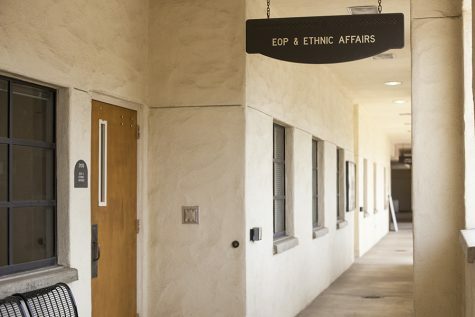 He said he had spent several years as an A.S. advisor and the situation concerning the mascot at SDSU was similar to his alma mater Stanford, and how their old Indian mascot was offensive to students. Ortiz has held the position for SDSU to get rid of the the Aztec mascot since 2000, he said at the meeting. English and American Indian Studies sophomore Lane Yazzie is a part of the Native American Students Association at SDSU. He said he was pleased with the result of the vote, but is anxious for the meetings to follow. Yazzie said students should take the time to see things from a different perspective while at SDSU. Social science senior Rachel Muntz asked SDSU students to imagine being in another person’s shoes. 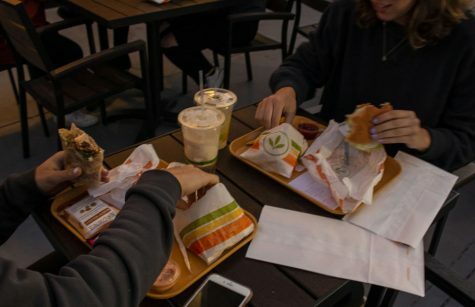 She spoke about her expectations for the next meeting, and said she was worried that people will steer away from the main focus of the resolution. 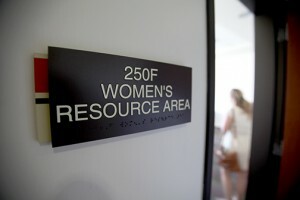 The A.S. University Council will meet at 3:30 p.m. April 12 to further discuss the resolution. There will be an official vote on the resolution on April 19. Changing mascots that come from deeply imbedded racism is long overdue. Showing respect to all cultures is essential for our benefit and growth as individuals and as a whole. Teaching the untold truths of indigenous history in our schools at all levels is necessary to begin understanding. Please prove that the Aztec Warrior mascot came from racism. You know, provided your actually interested. Your link says its unavailable. You little SJWs are tinkering with decades of loyalty and pride. Find a real Aztec who is offended then we will talk. Otherwise, let’s not become the Safe Space Sissies, okay? I’d like to hear a polite argument from you without any informal fallacies, if possible. Insulting people (ad hominem) is NOT going to get them on your side – in fact, it may drive people even further away. I thought she was an honorable title? Honestly, do you know people laugh at your silly political correctness? Ironically, 9 out of 10 Native Americans have no issues with these type of mascots. A bunch of whineeee pussies. No matter what you do you’ll offend someone. That’s the real World. Deal with it. Here’s a thought. Why don’t you get a vote from the entire student body? Oh, because we will vote to leave it alone! Political correctness will destroy this University’s legacy. It’s already started with the rest of the mascots and emblems deemed too “offensive”. 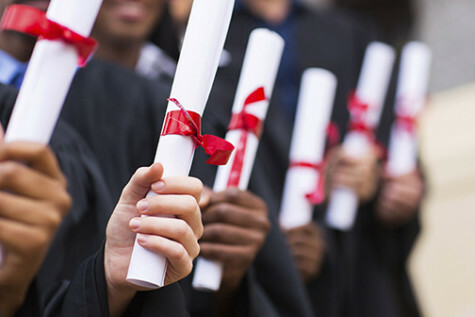 Why doesn’t the University push back against this so-called “comission”? I can promise you this, destroy the heritage and history of this fine University, and you will never have my donation. Aztecs fight! As the original campaign leader for the removal of SDSU’s mascot in 2000, I congratulate the current efforts of my successors in the Native American Student Alliance. You will face the wrath of racism and bigotry from the white community on campus who fear their loss of white privilege not only on campus, but across the nation. 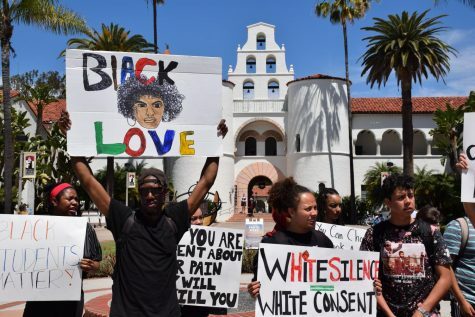 Maintain your resolve to continue to fight against oppressive, marginalized, and hate driven ideologies that have plagued SDSU since its inception. I am proud of the education I received at SDSU for it speaks to my current success, however, I will never claim to be a proud “Aztec” as I am in fact a proud Yaqui. But these students, faculty, staff, alumni, and community members claiming ties to the Aztec solely on the basis of their ties to the university are only interested in the monetary value of their relationship. Unfortunately, it is the money that will speak louder than your voices and this will be your most challenging barrier. No, its common sense that will speak louder. Just like before. Are you saying it is only the white students who want the name Aztec kept? How does keeping the name Aztec affect the so called “white privilege”? Are you opposed to Notre Dame being the “Fighting Irish” and it’s negative impact on people of Irish descent or is that part of your Native American privilege? The Aztecs logo and mascot and name have been around longer than before your little asses were around and parents were born. You can’t and won’t change tradition!! If you don’t like any of it,get the hell out of the University and go somewhere else where someone will actually give a crap about your opinions. You want change? Change your views and quit being narrow minded with tunnel vision. GO AZTECS!! I agree with people in that honestly I don’t see how this is a problem in the first place. I feel like the older people that are supporting it, want to fit in better with the ‘youth of today’. People should not be getting mad for something that is not pertaining to their race. Im especially irritated at the part in the article that said “Students should consider how they would feel if it was their culture being used as a mascot” so do they mean a white person? As someone that has Aztec heritage, and is proud of it, I say that the Aztec mascot isn’t just something that should be permitted, it should be an identity that we as a university that is proud to include everyone, should be PROUD to embrace. I’m of the opinion that those who want to keep it should think about the fact that it’s just a mascot. I do support changing it to something that doesn’t trivialize an entire people and reduce them to a mascot. That’s the problem with your side of the argument. It is NOT just a mascot. It is this university’s identity and pride. Changing it is a middle finger to every past, present, and future student who is truly loyal to the university. If you don’t like the mascot, go to another University. I know many people whose ancestors are Aztecs. And they have ZERO problems with Monty. So stop being a bunch of entitled snowflakes, go out into the community and make a real difference. Lets not forget the embarrassment that was the goof in a bathrobe you tried to replace Monty with. He lasted all of what, a week. The Aztec mascot has most certainly been shaped by “white supremacy, racism, bigotry, and ignorance.” And I think that even a cursory understanding of modern history makes this obvious. Even those in support of appropriating images and perceived customs of aboriginal people as a way of rallying sports teams would have a hard time denying this when they look at the many offensive ways this has been done. As opposed to promoting San Diego State University as a cutting-edge academic institution, we appear well behind the times. We should follow the examples set by other academic institutions-such as Stanford-as far back as half a century ago and discontinue the practice of “playing Indian,” while ignoring the dispossession and conquest of indigenous peoples. Emulation of the accent Aztecs as the SDSU mascot is appropriate. This is to honor all the strengths of this culture. As we excel to be worthy of identifying ourselves with them. Shunning this image is shameful and not appreciative of current and proceeding alumni. It is cowardly to reject what so many have paid a price to identify with. Ted W Bishop, New Media Studies, 2002. I’m sure glad we have legal permission to use the Aztec as our school mascot. First question… WHO exactly is offended by this, and what is your basis for offense? 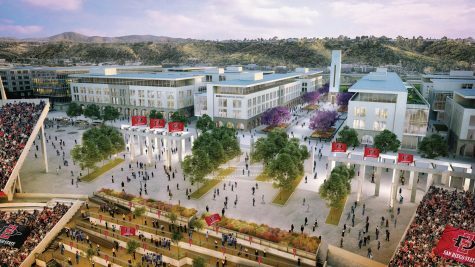 Are we hearing from the Aztec descendants at SDSU? No… I didn’t think so. Isn’t it cultural appropriation to be offended on behalf of someone with whom you have absolutely no connection? Third… If we follow this silly line of thought to it’s reasonable conclusion, we’ll need to ban any mascot or sports team’s name that mentions any type of ethnic group or nationality (think Spartans, Vikings, Celtics, Texans, Cowboys, Fighting Irish, Trojans, Yankees, Canucks, Canadiens, Indians, etc.). While we’re at it, we should probably ban any mention of religion lest we offend someone (Saints, Angels, Devils, etc.). Then we should get rid of the hyper-masculine animals too because that might trigger women or the LGBTQ community (so long to Bucks, Bills, Bulls, Colts, Rams, Broncos, Bears, etc.) We can keep to gender-neutral, non-denominational mascots like the Stanford Pine Tree or the Banana Slug… Actually, gonna need to scratch the Banana slug too because it might have some phallic undertones. Not sure what else you would expect from the “diversity coalition” or whatever their group is called. Perhaps a better question is who should get to vote on the name? – Just Aztecs (as in real Aztec descendants)? Students currently enrolled ? 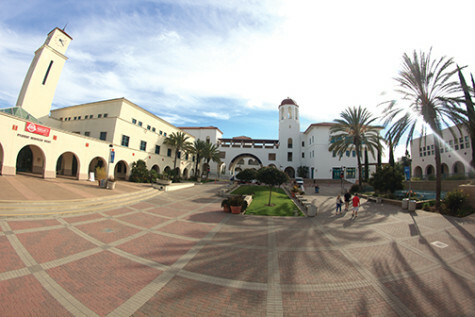 Alumni (after all they spent more time at SDSU than not yet graduated students ) ? 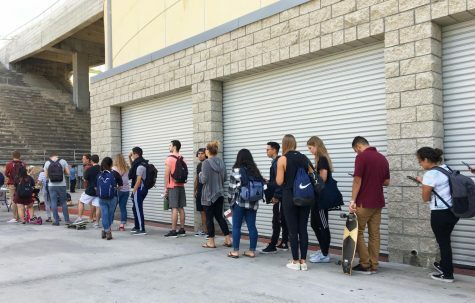 All tax paying Californians (who subsidize the current students) ?